The focal length f, is the distance between the optical centre of the lens and the principle focus. the objective and eyepiece lenses are separated by the sum of their focal lengths. A Cassegrain reflecting telescope has a concave (parabolic) objective and a convex secondary mirror. 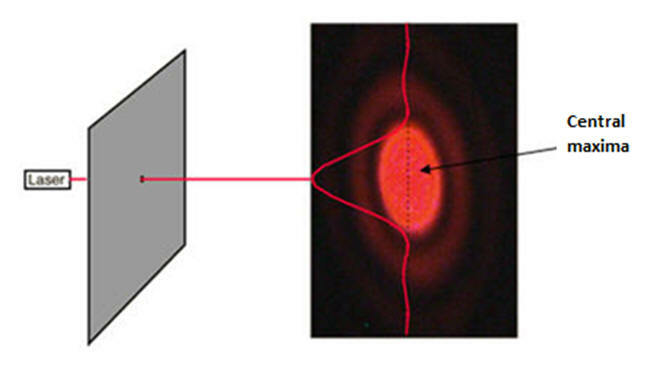 Chromatic aberration is due to longer (red) wavelengths of light being refracted through smaller angles by a lens than shorter (blue) wavelengths. to make the main concave mirror parabolic. Affects both objective and eyepiece lenses. Less problematic, affects eyepiece only. Reflectors only need one surface to be ground accurately. For lenses its two surfaces and the glass must be perfect throughout. The resolving power of a telescope is the smallest angular separation that can be observed, and is given by θ = λ / D.
where λ is the wavelength of light and D is the diameter of the telescope objective lens or mirror, θ is in RADIANS. The smaller θ is then the greater is the resolving power. Clearly a large diameter telescope objective is one way to achieve this. just resolved when the bright central maximum of one object coincides with the first minimum of the other object. A Charge Couple Device (CCD) is a silicon chip divided into picture elements or pixels. Long exposure photography means a very feint image (not visible with eye) can be captured with a CCD. since λ is LARGE, diameter D needs to be LARGE to get a good resolving power. The dish does not have to be as perfect as a mirror for a light telescope. As long as the surface is within about 1/20 wavelength, then the focusing will be unaffected by imperfections. Also the reflector does not have to solid. Fine wire mesh will do, since radio waves will not pass through a gap less than one wavelength. or magnitudes. The lower or more negative, the brighter is the star (eg. Sun is - 26). 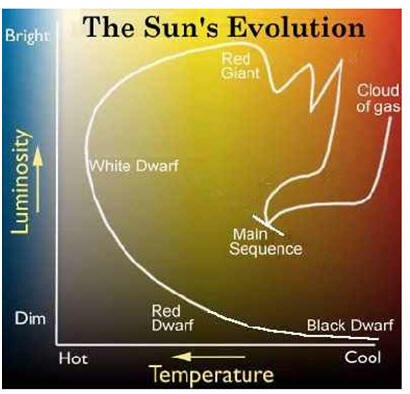 A non-quantitative brightness scale. Best (feintest) naked eye visual magnitude = + 6 , with long exposure cameras this can be increased considerably. A revised, quantitative form of the Hipparcos scale is in use today. A change in 1 magnitude is in fact a change in brightness of 2.512 times, (1001/5 = 2.512). · then work out the ratio of the brightnesses = 2.512n. 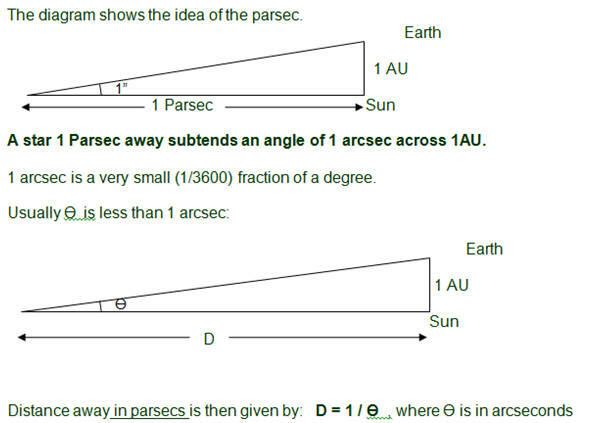 1 Astronomical Unit (AU) is the distance between the Earth and the Sun. Wien’s Law: the wavelength at which most radiation is emitted is inversely proportional to the absolute temperature, λmaxT = constant = 0.0029mK. 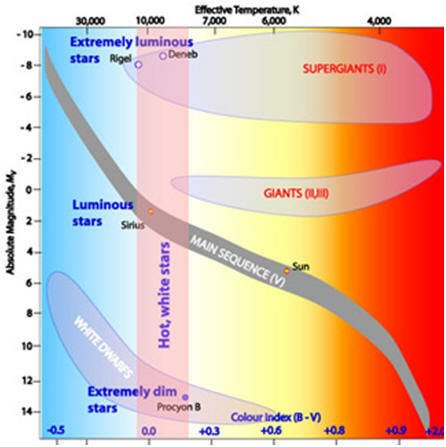 Stefan’s Law: the luminosity (power output) of a star is proportional to its surface area, and to the fourth power of its absolute temperature, P = σAT4. Limitations of the inverse square law. 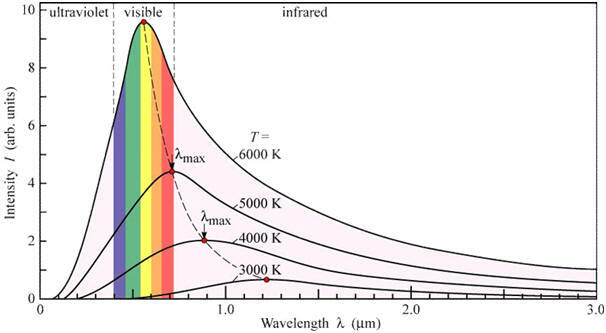 the intensity of the Balmer absorption lines depends on the temperature of the star, so the temperature can be measured. A more massive star will use up its hydrogen much faster and go through the life cycle at a faster rate. Supernova - a very luminous star explosion, occurs towards the end of a very massive stars life. neutron stars - the remains of a massive star consisting entirely of neutrons- extremely dense, escape velocity close to light speed. 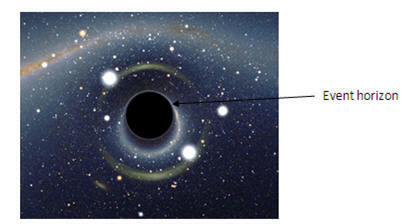 black hole - remains of very massive star, absorbs all light that hits it, escape velocity > than speed of light. Supermassive black holes at the centre of galaxies. Gamma ray bursts - due to the collapse of supergiant stars to form neutron stars or black holes. type 1a supernovae used as standard candles to determine distances. Controversy concerning accelerating universe and dark energy. The event horizon of a black hole is the boundary beyond which light cannot escape. 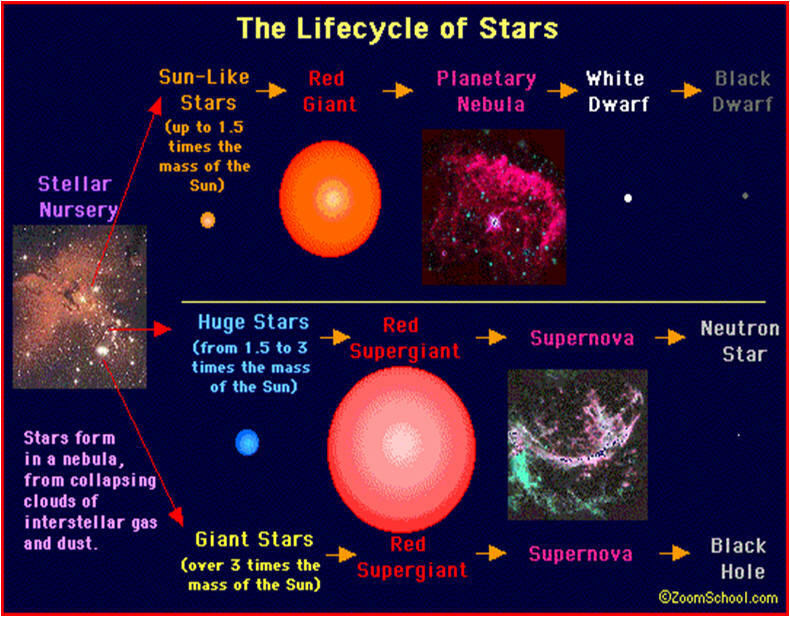 Evidence for the Big Bang theory is the observed red-shift of galaxies, and also the cosmic microwave background. Also the relative abundance of hydrogen and helium. 1/ H = age of the universe. An open universe will expand for ever, but a closed universe will eventually collapse into a “Big Crunch”. The answer lies in knowing the density of the universe. Quasars are the most distant, the most luminous and the most red-shifted bodies discovered so far. Many are intense radio sources. Formation of quasars from active supermassive black holes. Detection methods: transit method - typical light curve for one orbit of planet. Radial velocity method - doppler spectroscopy detects periodic shifts in the wavelength of light from the host star. Detection difficulties due to long time scale between readings and variations too small to detect.